Uttarakhand boasts of host of scenic places, which are ideal destinations to find respite from scorching summer heat and hustles and bustles of the city. Other than the popular touristy places, there are some offbeat places in Uttarakhand; though not much known to many but promise stunning views and serenity. 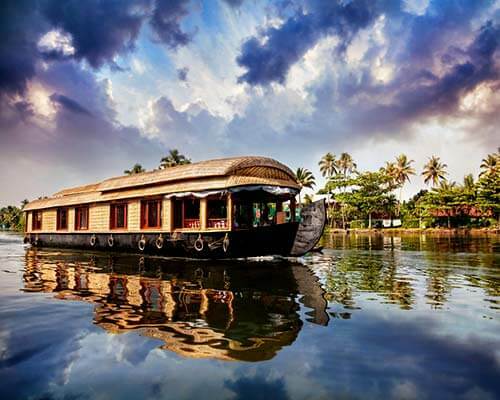 Featuring snow covered mountains, serene lakes, waterfalls, valleys and lush green forests, these unconventional destinations offer absolute tranquillity, rejuvenation and peace of mind. Come and have a look. With so many places offering absolute bliss and tranquility, travelers find themselves spoilt for choice in a paradise as perfect as Uttarakhand. 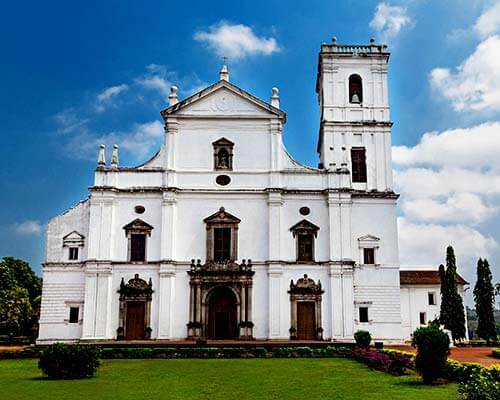 So, here’s a list of some hidden gems that will help you for your next trip! Kausani is the perfect respite from the hustle bustles of the city and is one of the most serene and offbeat places in Uttarakhand. 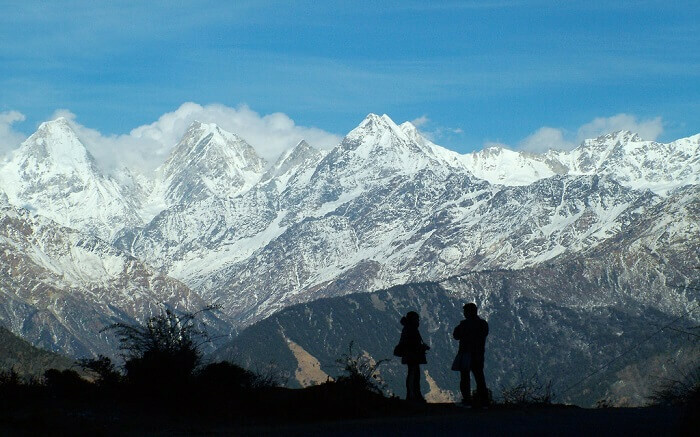 Famous for wide panoramic views of snow-capped Himalayan peaks like Nanda Devi and Panchachuli, this place, located in the Bageshwar district of Uttarakhand is a piece of heaven for nature lovers, photographers, trekkers, backpackers and honeymoon couples. 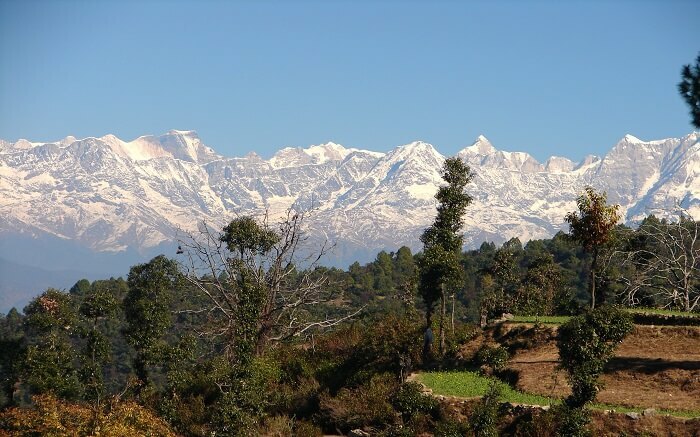 Summer is cool and pleasant in Kausani but if you wish to experience spectacular snowfall in winter, there is nothing that can beat the charm of Kausani. Major attractions: Baijnath Temple, Rudradhari Falls, Kausani Tea Estate and Anasakti Ashram. Other than sightseeing, shopping at Mall Road and dining at Garden Restaurant; one can indulge in trekking, camping, mountain biking, rock climbing and rappelling. How to reach: Nearest railhead to Kausani is at Kathgodam, 136 km away. From there take a bus or hire cab to reach Kausani. Driving time is approximately 4 hours. Nearest airport to Kausani is at Pantnagar- 162 kms away. 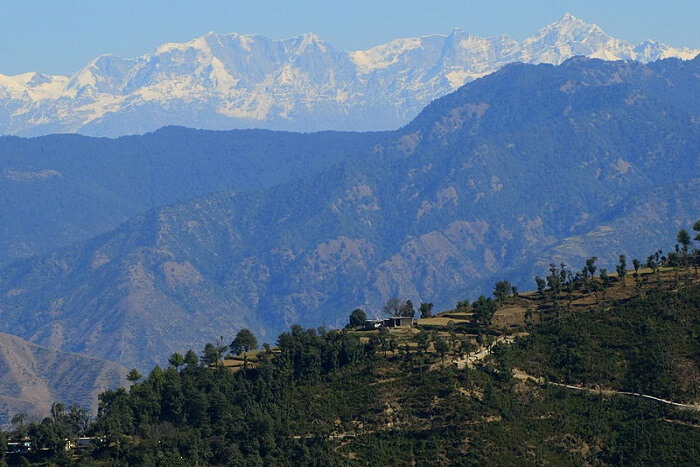 Located between Almora and Nainital, Peora is a splendid gem and one of the offbeat destinations in Uttarakhand. 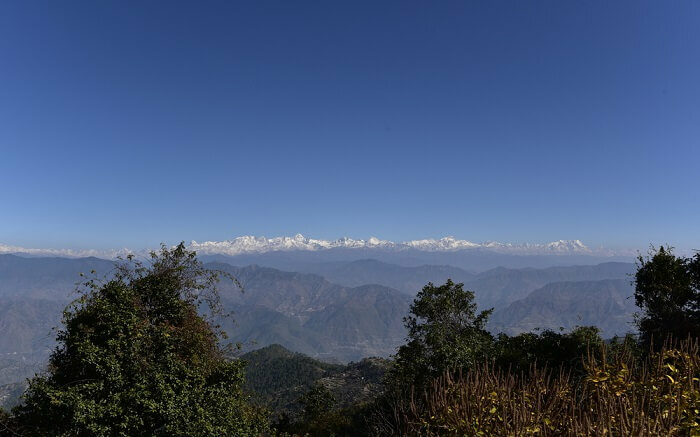 Perched at an elevation of 6600 feet, this place is famous for mighty Kumaon Himalayan ranges forests and sprawling fruit orchards of apples and plums. Perfect for eco-tourism, this quaint hamlet is another offbeat place in Himachal which offers complete relaxation and rejuvenation to all. Major attractions: Admire 360-degree panoramic view of snow-laden Himalayan ranges, enjoy forest trails, photography and bird watching. How to reach: Peora is 23 kms from Almora and can be easily reached from Kathgodam, which is the nearest rail station. Must Read: 5 Reasons You Should Take Another Trip To Nainital NOW! For those who’re searching for tranquillity and peace of mind, Khirsu is the best place to be. 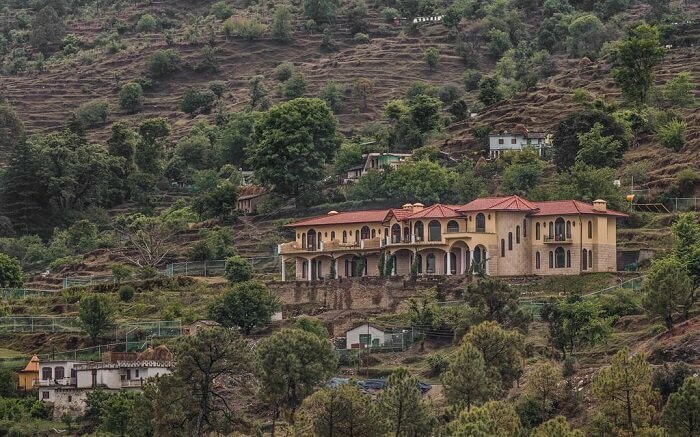 Surrounded by lush green Oak and Deodar forests and apple orchards, this picturesque hamlet is one among the finest offbeat places to visit in Uttarakhand, in the lap of Garhwal Himalayas. 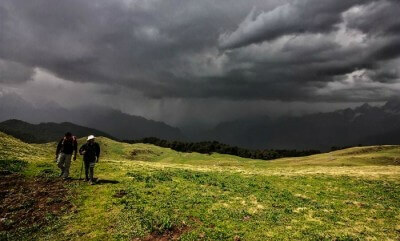 Khirsu is located 19 kms from Pauri and is a heaven for trekkers, backpackers and solo travellers. 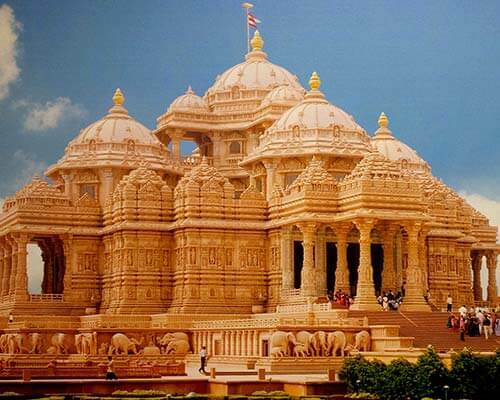 Here, one can enjoy stunning views, temple tours and indulge in nature walks. Major attractions: Visit Ghandiyal Devi temple and Kandoliya Devta temple to seek blessings and trek up to Ulka Ghari to enjoy jaw-dropping view of the mountains ranges and snow-capped peaks. How to reach: Jolly Grant Airport is the nearest airport, located 145 kms from Khisru. 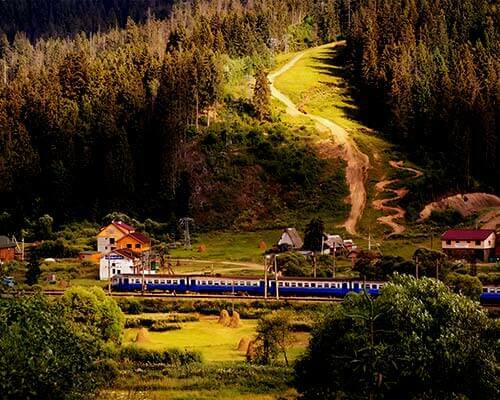 Kotdwar, situated 115 kms away is the closest railhead. The drive to Khirsu is extremely stunning and worth every bit. Munsiyari- a scenic hill retreat and one of the most scenic offbeat locations in Uttarakhand, is popular among trekkers and adventure enthusiasts and considered as a base camp for Milam, Khalia Top, Ramalam, Khalika Pass, Chiplakot Bugyal and Namik trek. Encircled by gorgeous mountains and luxuriant forests, the pristine and serene nature of this place, outshines all other places in Uttarakhand. Major attractions: Explore Maheshwari Kund, Tribal Heritage Museum, Birthi Falls, Kalamuni Top, Thamari Kund and Panchachuli Peak. Indulge in bird watching, nature walks and trekking. How to reach: The nearest railway station to Munsiyari is Kathgodam- 275 kms away. Drive through Almora, Pithoragarh and Bageshwar to reach Munsiyari. One can also fly up to Pantnagar airport, 249 kms from Munsiyari and drive up to this trekker’s paradise. 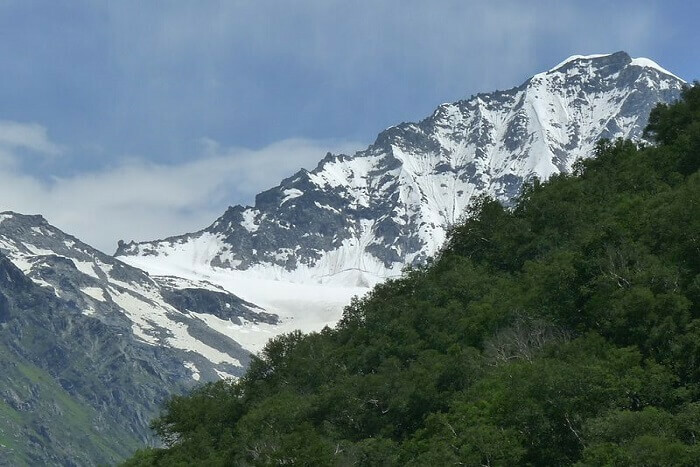 The list of best offbeat places in Uttarakhand also has Binsar. Snuggled in the Jhandi Dhar Hills, Binsar is a paradise for nature buffs, wildlife and bird lovers and peace seekers. With the terrific views of 4 gorgeous Himalayan peaks: Nanda Devi, Kedarnath, Shivling and Trishul, Binsar is a pure bliss in the lap of Garhwal Himalayas. Major attractions: Other than Kasar Devi temple, Zero Point and Golu Devta temple, pay a visit to Binsar Wildlife Sanctuary. 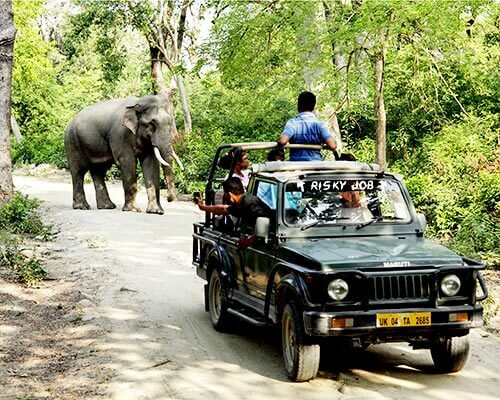 There you can enjoy jeep safaris and jungle treks and spot endangered wildlife and birds. 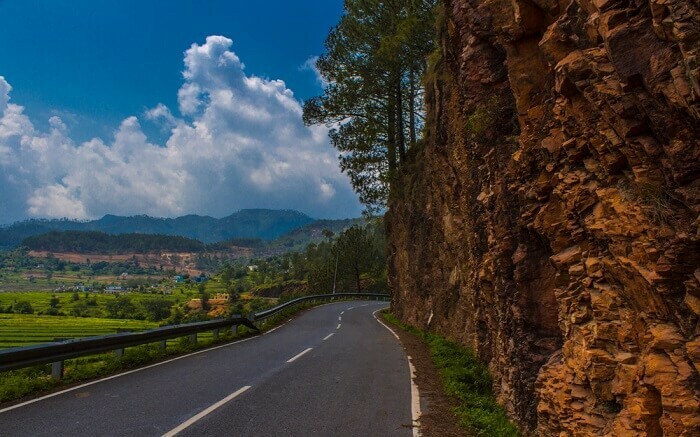 How to reach: Either drive from Kathgodam, the nearest railhead at a distance of 119 kms or from Pantnagar – the nearest airport located 152 kms away. 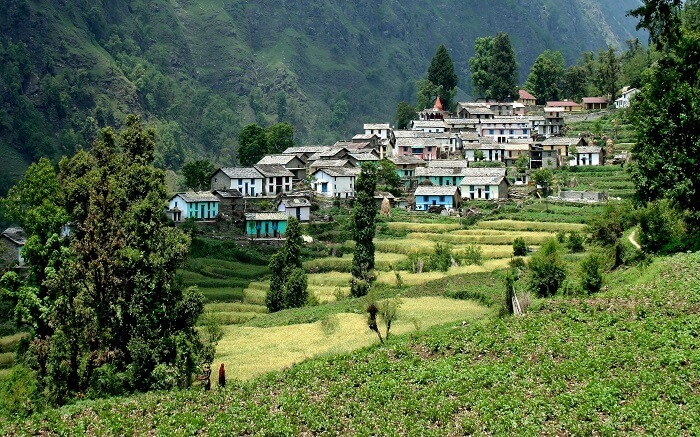 One of the most peaceful offbeat places in Uttarakhand, Chakrata boasts of scenic views and soothing serenity. 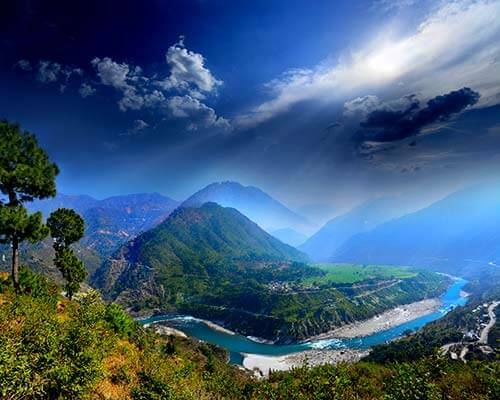 It is an absolutely picture perfect yet offbeat destination in Uttarakhand. 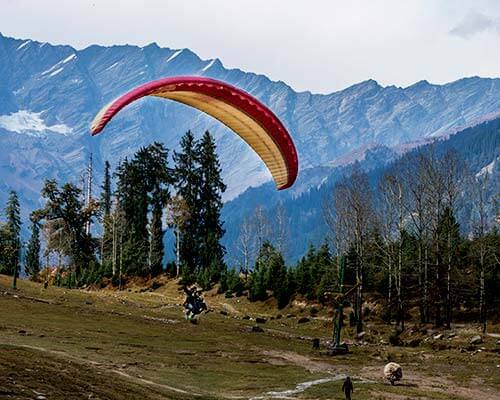 Popular for trekking, rafting, skiing and cave tours, Chakrata overwhelms every traveller with its unending charm and beauty. Located at an elevation of 7000 feet and overlooking Yamuna Valley, this picturesque hamlet features thick forests and has few ancient temples and caves. Major attractions: Tiger Falls, Deoban, Budher Caves and Chilmiri Neck. How to reach: Chakrata is 88 kms from Dehradun, which is the nearest railhead as well. Jolly Grant is the closest airport, which is located at a distance of 116 kms. Another name in the league of offbeat destinations in Uttarakhand is Mandal, ideal for de-stressing, relaxation and invigoration. Away from clutters of the city, this quaint little village lies on the way to Rudranath Temple pilgrimage in Chamoli, Uttarakhand, near Chakrata. 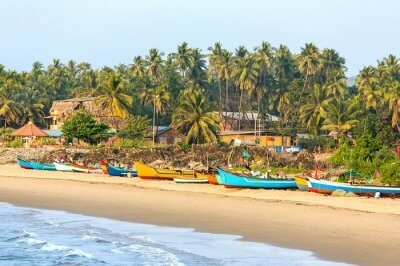 Ideal for a laid-back retreat, Mandal is known for complete digital detox holidays as the place has no connection of telephone and internet, hence refrains people from using mobile phones and laptops during their stay. How to reach: Dehradun Railway station (107 kms) is closest to Mandal. From there, drive via Mussorie Road and Chakrata to reach Mandal. Situated at a distance of 130 kms, Jolly Grant is the nearest airport to Mandal. Featuring aromatic tea estates and luxuriant deodar and alpine forests and fruit orchards, Chaukori is among the best offbeat places to visit in Uttarakhand. 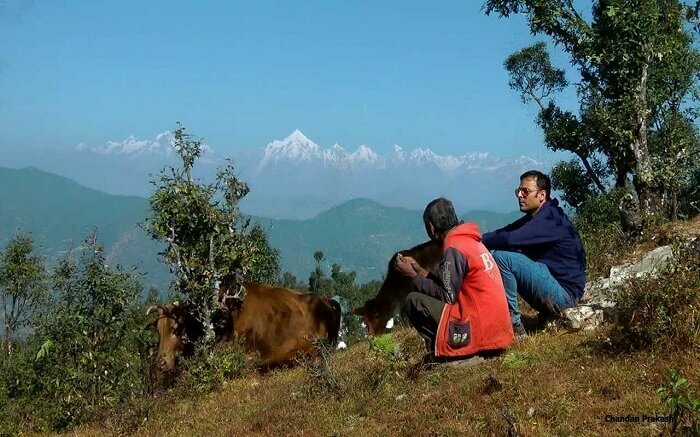 With the stunning backdrop of Chaukhamba, Nanda Devi, Trishul and Panchachulu peaks; Chaukori is an offbeat destination of Uttarakhand that promises spellbinding views. 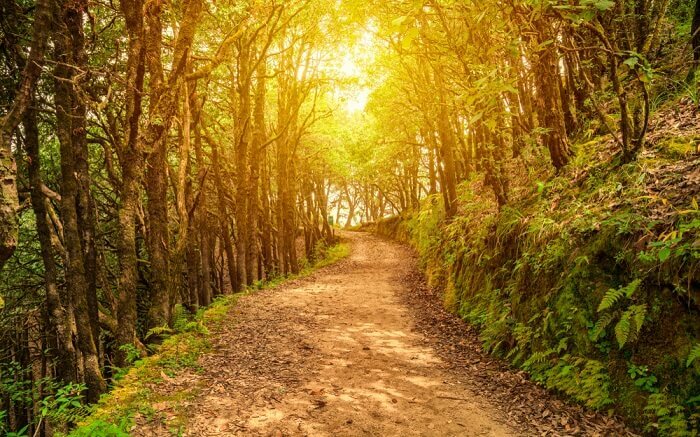 Major attractions: Enjoy most photogenic sunrise and sunset views, trek up to Musk Deer Park, Dharampur, Berinag and Patal Bhuvaneshwar. How to reach: If you are travelling in train, get down at Kathgodam- 180 kms away. Moreover, one can also fly down to Pantnagar Airport and drive for 205 kms. Not as touristy as Nainital and Dehradun neither as isolated as Chaukori and Peora, Bhimtal is among the most gorgeous offbeat places in Uttarakhand. 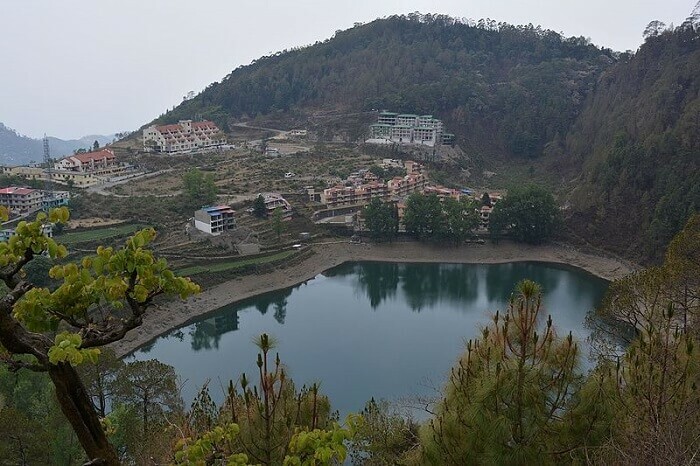 With a sparkling lake at the centre, named after Bhima from Mahabharata, this small yet beautiful place lies between Kathgodam and Nainital and mostly visited by solo travellers and honeymoon couples, in pursuit of privacy, isolation and solace. 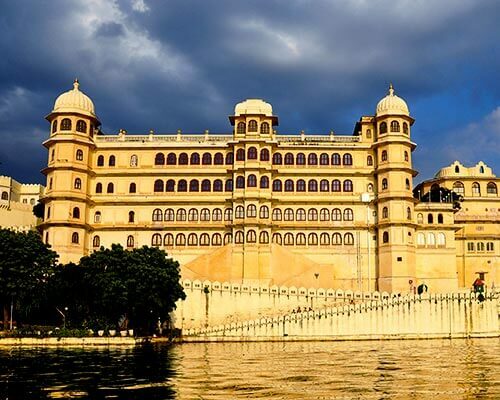 Major attractions: Apart from boating in Bhimtal Lake, visit Victoria Dam, Hidimba Parvat, Butterfly Research Centre and Folk Culture Museum. 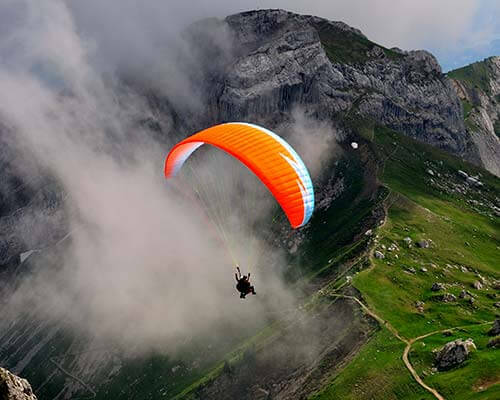 One can also enjoy stargazing, dirt biking and paragliding. How to reach: From Pantnagar, one can reach Bhimtal in approximately 2 hours. But the easiest way is to avail train, get down at Kathgodam and hire a cab to reach Bhimtal, located 30 kms from the railhead. 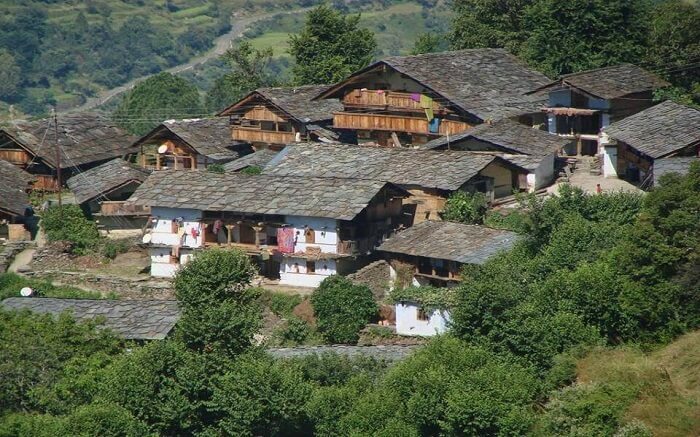 Snuggled cosily in the Bageshwar region of Uttarakhand, Khati Village is one of the best offbeat places in Uttarakhand. Located on the banks of Pindara River, this untouched and scenic village is encircled by thick forests of oak and rhododendron. Moreover, this is the last inhabited land before Pindari Glacier, hence not commercialised and counted as one of the most offbeat tourist places in Uttarakhand. Major attractions: With nothing much to see, except the surreal beauty; Khati Village is popular for cycling, mountain biking and nature walks. However, trekking and camping by Pindara River offer delight for all those who love adventure. How to reach: Kathgodam is 113 kms and one need to rent out a cab and drive through hills and plush green forests. However, adventure buffs also reach this destination by mountain biking. Verdant forests, sprawling meadows, valleys and snow-laden mountains welcome you at Chopta with open arms. This is a popular stopover, en-route to trekking destinations like Chandrashila and Tungnath and offers breath taking beauty and absolute solace of mind and soul. Chopta is among the most offbeat destinations in Uttarakhand for those in search for a lesser known trekking trail. 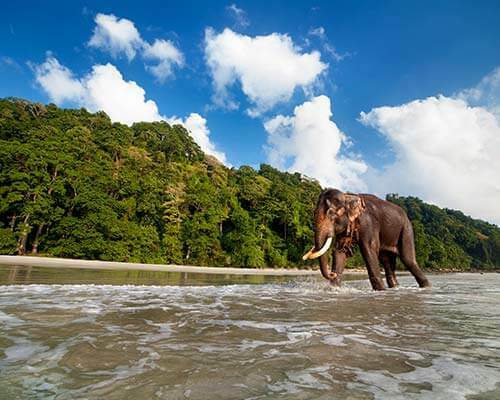 Major attractions: Tungnath, Deoria Tal, Ukhimath, Chandrashila and Kanchula Korak Musk Deer Sanctuary. How to reach: Jolly Grant airport is 97 kms and Dehradun railway station is 100 kms from Chopta. Located midway on Chamba-Mussorie road, Kanatal is one of the finest offbeat places in Uttarakhand known for incredible views and exciting adventure activities. 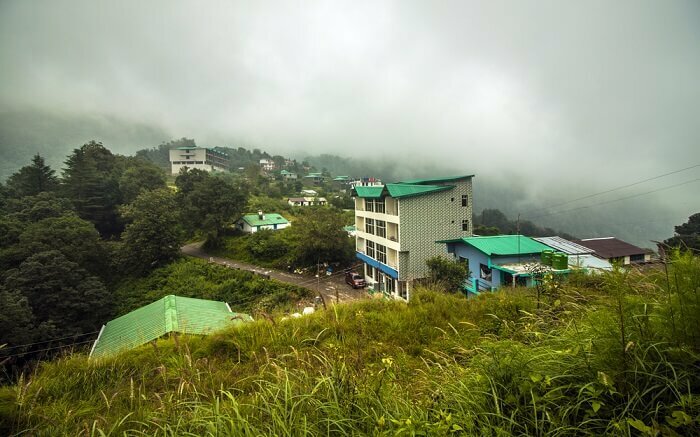 So, for those, who wish to spend some secluded time amid nature or enjoy some super thrilling adventure like camping, trekking, rappelling, rock climbing and valley crossing; Kanatal make a perfect choice. Major attractions: Surkanda Devi Temple and Kodia Forest. How to reach: Regular buses and private cabs travel from Dehradun up to Kanatal, which is 77 kms away. Perched on the banks of Saraswati River, 24 kms away from Indo-Tibet border, Mana Village is another scenic yet absolutely offbeat destination of Uttarakhand. 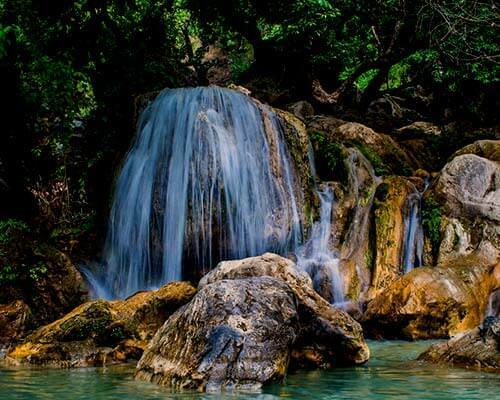 Serene forests, mountain stream and mighty Himalayan ranges all around make the place look outstandingly beautiful. Mana village is located near Badrinath Temple; hence pilgrims on their way to the holy abode, pay a visit to this quaint hamlet. Other than spectacular beauty and spiritual significance, Mana Village is endowed with mythological history and heritage as well. Many sources believe that the great epic Mahabharata was written here by Vyasdev. Major attractions: Vyas Guha- a pre-historic mountain cave, dated 5000 years ago and Bhim Pul- a wooden bridge on Saraswati River. How to reach: Take train up to Haridwar, which is 275 kms away. 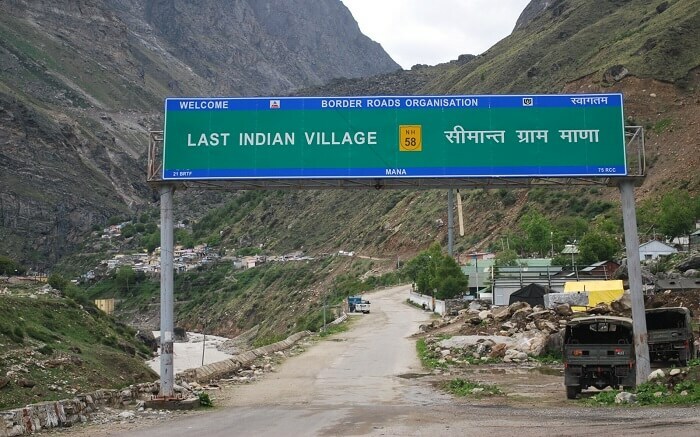 Then hire a private cab and drive through Badrinath and Joshimath towns to reach Mana Village. Surrounded by snow-covered mountains, pristine valleys and forests; Dharchula is one of the most quiet offbeat places in Uttarakhand. Lying on the Kailash, Manas Sarovar, and Chhota Kailash route, this small hilly retreat is ideal for trekking and is the home to Kumaoni and Shauna tribal communities. Located on the banks of River Kali, the surreal beauty and quietude of the place will leave you awestruck and spellbound. The clear view of Panchachuli Peak from Dharchula, allure and delight all tourists. How to reach: Pantnagar is the nearest airbase at a distance of 317 kms. Tanakpur, at a distance of 218 kms is the closes railhead. Lying quite close to Nainital, yet not as touristy as the same, Pangot is an offbeat name in the list of places to be visited in Uttarakhand. This is an emerging mountain getaway which promises mesmerising views of mighty Himalayan ranges like Nanda Devi and Chaukhamba. 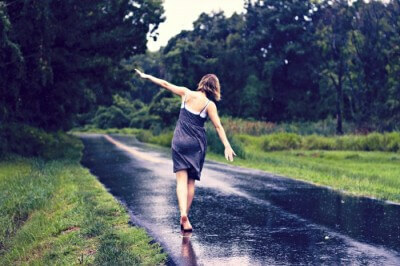 It’s nothing less than pure bliss to wake up to melodious chirping of birds, feel the cool breeze and rejuvenate your mind and body. If you do not like crowded destinations and wish to spend few days in solace and seclusion- this the perfect choice for you. Major attractions: Naina Devi Bird Reserve, Himalaya Botanic Garden, Kainchi Dam and Himalaya View Point. How to reach: Kathgodam is 50 kms from Pangot and Pantnagar Airport is just about 98 kms. 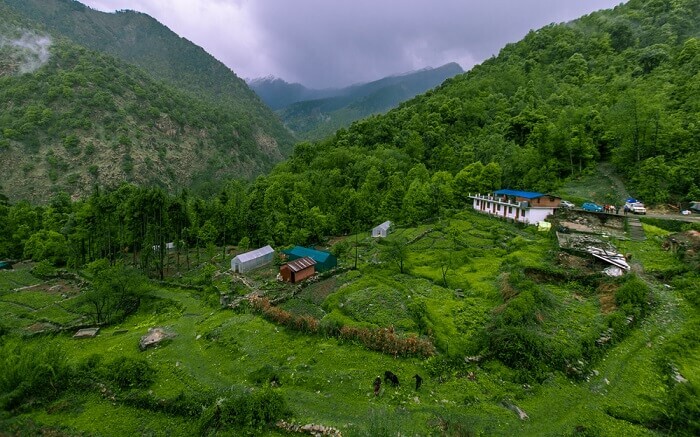 One of the most offbeat places to stay in Uttarakhand, Gwaldam located in the Chamoli district of the serene state of Uttarakhand has gorgeous lush landscapes that will leave you craving for more. There’s nothing like a nature walk amidst the tea gardens here and a mere 3 km walk will lead you to Talwari to witness the vibrant birds of Himalayan region. How to reach: The nearest railway station to Gwaldam is Haldwani. From there, you can hire a cab to reach Gwaldam. 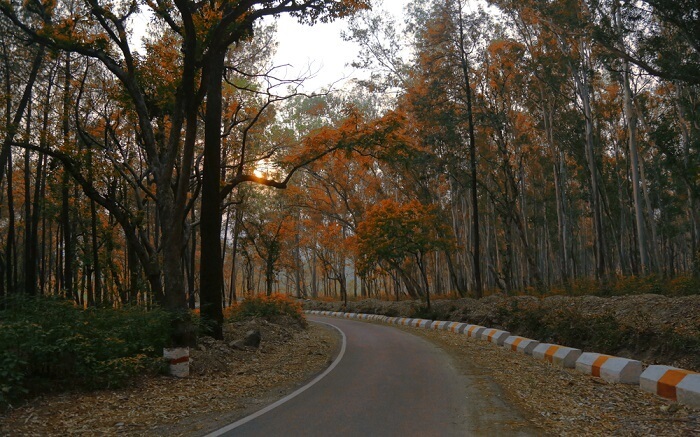 With lush deciduous forests adding more to the scenic charm of this district in Pithoragarh, Abbott Mount is nothing less than a photographer’s dream. Being a perfect spot for bird-watching and having a laidback vacation, this place tops the list of offbeat unexplored places in Uttarakhand. You can go for various treks in the region or simply have a relaxing weekend getaway admiring the beauty from the comfort of your accommodation. How to reach: The nearest railway stations include Tanakpur and Kathgodam. With a mere 80 kms distance, you can reach Abbott Mount from Tanakpur by hiring a cab from the railway station. You can also book a flight as the nearest airport is Pantnagar airport and from there, you’ll have to rent a cab again. Located at an elevation of 1600 m from the sea level, Khurpatal is closer to Nainital than any tourist could have imagined. With a mere 11 kms from Nainital lake, this offbeat place in Uttarakhand has abundant cedar and pine trees lined across the place. 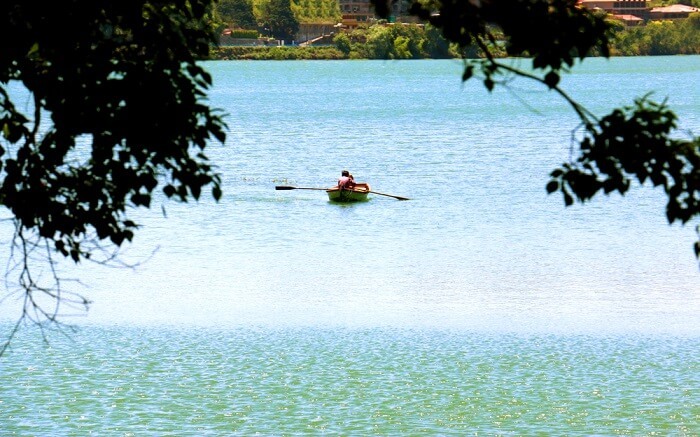 This quaint town has a variety of fishes in its mesmerizing emerald lake that you ought to check out here! How to reach: The closest railway head is Kathgodam, which is at a distance of 34 kms from Nainital and you can easily visit Khurpatal from there by hiring a cab. You can also get down at Pantnagar airport and rent a cab to reach this place. 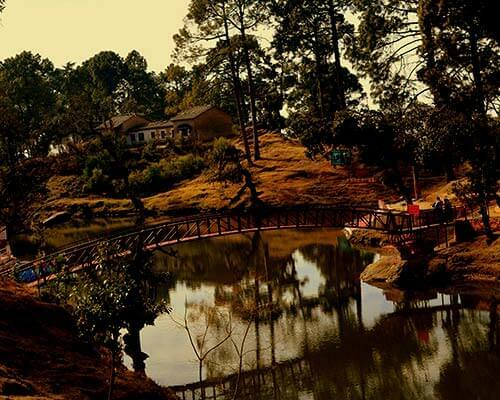 Further Read: These Are The Best Places To Visit In Kumaon For A Perfect Family Holiday ! Skip the overrated and popular places and head to these amazing yet offbeat places in Uttarakhand. 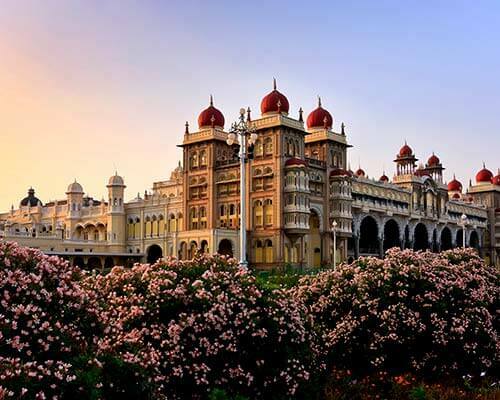 You’ll surely come to know that they are no less charm than the touristy places. So, what are you waiting for? Plan a trip to Uttarakhand for an amazing holiday experience in this land of picturesque views and lush landscapes with your loved ones!